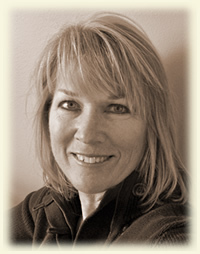 My name is Laurie Van Zandt and I am the owner of The Ardent Gardener Landscape Design. An education and career in architectural design, combined with extensive classes and experience in landscape design, have been invaluable tools in helping me spatially plan exciting, creative, beautiful landscapes and gardens. I love what I do, and I believe that this is reflected in the uniqueness of my designs, and the excitement and passion I feel for projects of any size. I am an active Associate of the Association of Professional Landscape Designers (APLD), on the conference committees for the 2005 APLD International Conference and the 2006 – 2016 Utah Nursery and Landscape Association (UNLA), have led landscape design workshops for the UNLA, and am the recipient of a blue ribbon for Excellence in Landscape during the 2003, 2006 and 2007 Parade of Homes. I believe that as a landscape professional, I have an obligation to be a steward of the environment. My focus is on landscapes that are sustainable, that use native and recycled materials and plants that are suited to the site; to work with nature, rather than against it. My work is inspired by nature, by architecture, by sculpture and by other fine arts. Through participation in continuing education and professional programs, I hope to advance the profession of landscape design and will always strive to create gardens that will give a life time of personal enjoyment.